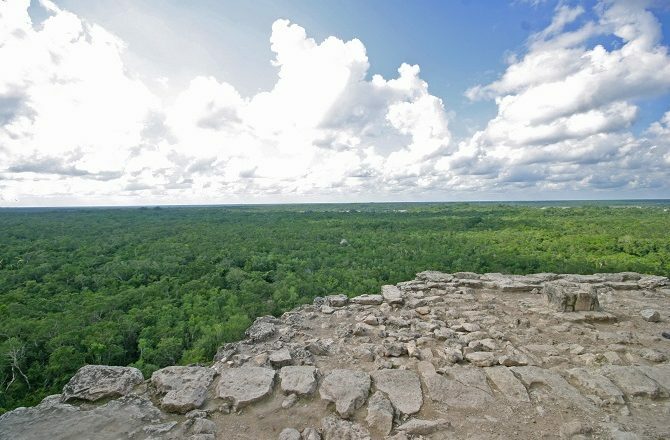 Coba was first inhabited in around 100 AD and, for the next 500 years, grew largely unchecked with its population peaking at almost 50,000. At this time, long before the now, far more famous Chichen Itza rose to prominence, Coba was the dominant Mayan city in the northern Yucatan Peninsula. 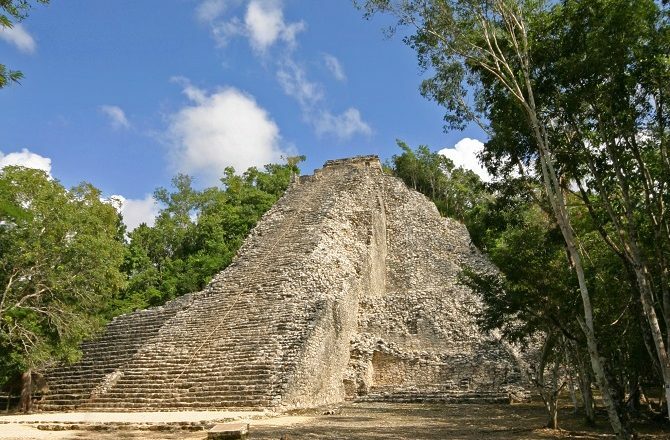 Over time, the increasing power of the Puuc Mayan cities, most notably Uxmal, as well as Chichen Itza, meant that Coba never really regained its dominant position and, by the time of the Spanish conquest in the 16th century, the city already lay abandoned. 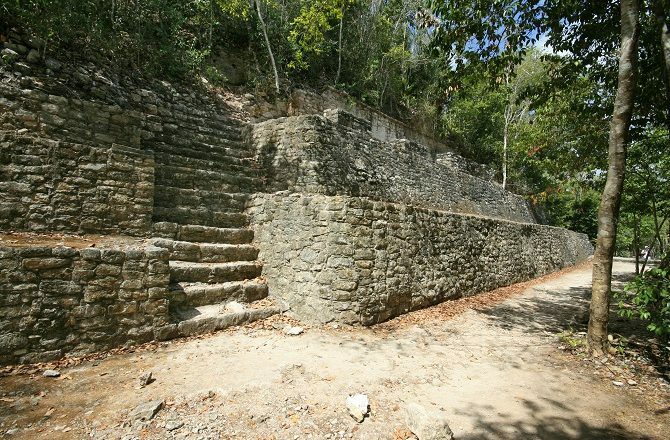 Due to its relative isolation and the lack of roads, serious excavation and study of Coba didn’t really begin until the 1970s and the site wasn’t really opened to tourists until the start of the 1980s. 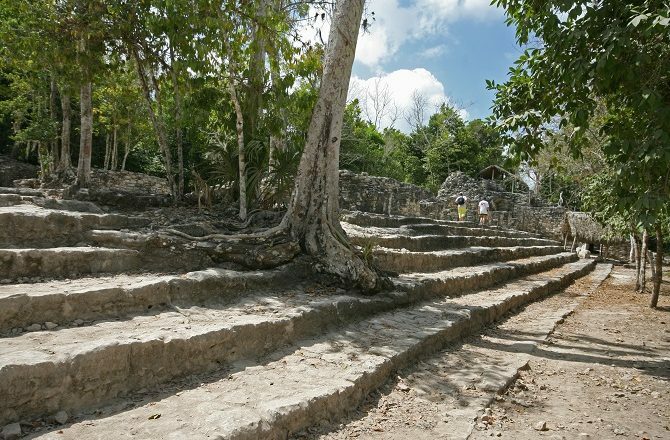 Even now, the vast majority of Coba remains buried beneath the jungle with only a handful of structures having been excavated. 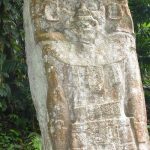 Of the structures that have been excavated and restored, by far the most important is the vast Nohoch Mul (literally, ‘large hill’) pyramid which rises 42 metres above the jungle canopy affording wonderful 360-degree views. Fortunately, unlike Chichen Itza where the iconic Kukulcan pyramid is now closed to visitors, for now at least it is still possible to climb to the top of Nohoch Mul. 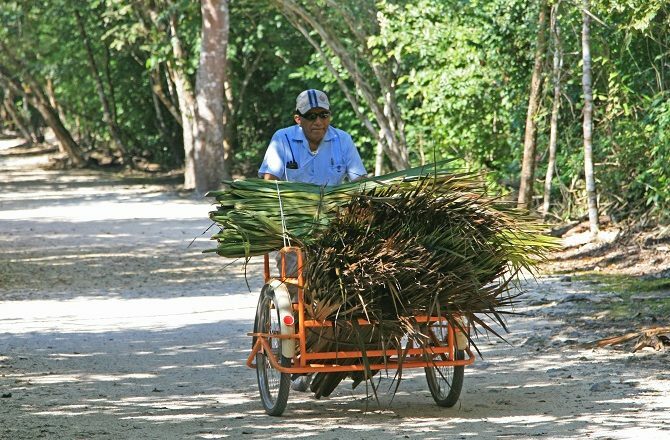 Aside from Nohoch Mul, Coba is also famous for its road system, known as Sacbes, which linked the city to other, smaller, nearby settlements. 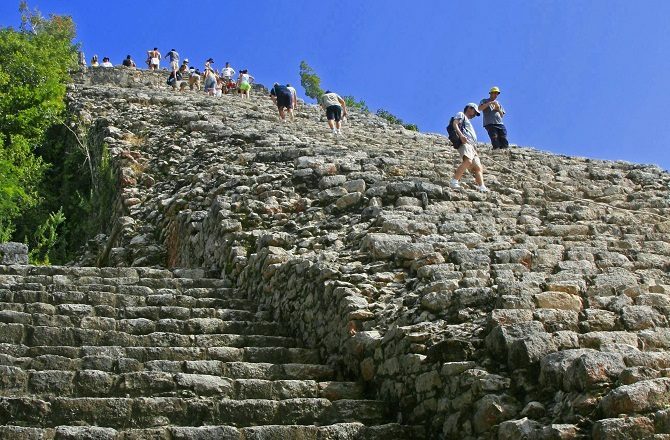 The longest Sacbe from Coba is thought to have run for over 100kms. 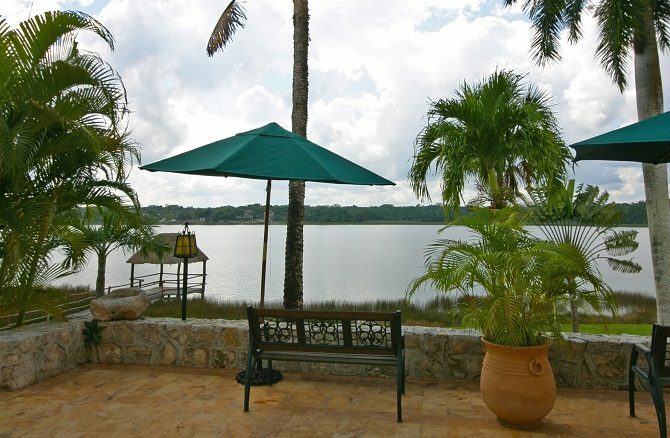 Another noteworthy feature of Coba, and one of the main reasons why the city was located where it is, is the presence of two lakes, Lake Coba and Lake Macanxoc. While a lake might not normally be something to get too excited about, such surface water in the Yucatan Peninsula is actually very rare, with most water being located underground in another of the region’s popular visitor draws, Cenotes. 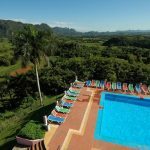 In terms of visiting, this can easily be incorporated into a tailor made tour of the region – either self-drive or with a car-and-driver – or as a day trip from Valladolid or the beach. If the latter, one can either book an organised tour including transport, guide etc, or simply arrange your own car for the day (perhaps combining it with the ruins at nearby Tulum) and explore independently. Entrance to the site is only around US$4 and, because the ruins are quite spread out, many visitors choose to rent bikes for around US$3. Coba is open pretty much throughout the year from 08:00 to 17:00. 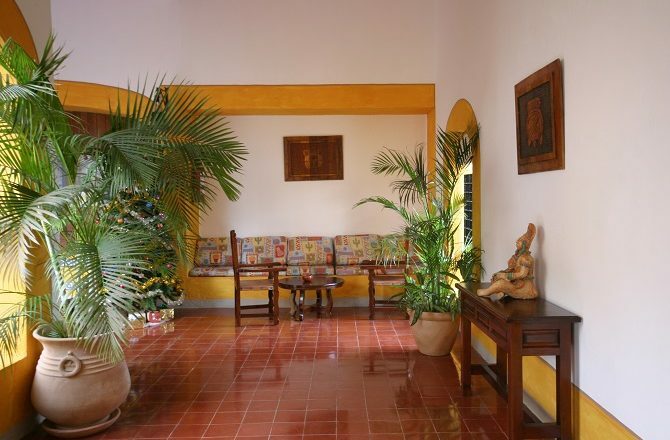 Although the vast majority of visitors to Coba are either staying at the beach, or en-route to somewhere else, there is also simple, comfortable accommodation within walking distance of the park entrance.